The off-spinner from Afghanistan, Mujeeb Ur Rahman came to limelight when he troubled the batsmen while playing for Kings XI Punjab in the 11th edition of the Indian Premier League (IPL). Since his international debut, he has been an important member in Afghanistan's set-up. However, he found him in a big trouble as he reportedly listed a fake age. According to Wikipedia and ESPNCricinfo, his current age is just 17 as he was born on March 28, 2001. But, it seems to be fake according to a recent interview with the former Pakistan cricketer and Afghanistan coach, Rashid Latif. He said that he has spotted Mujeeb Ur Rahman at an international team trial during his coaching stint with Afghanistan in 2010. “I was approached by Hamid Shinwari, the then CEO of the board, and I travelled to Afghanistan to find a good bunch of players during a short camp in Kabul. Mujeeb Ur Rahman, Hashmatullah Shahidi, Afsar Zazai, Amir Hamza and a few others were potentially good cricketers,” Latif told Dawn. “Gulbadin Naib, a junior level bodybuilder, too caught my attention but then he left the scene. Still, I remembered his name because it reminded me of the Afghan leader Gulbadin Hikmatyar. I summoned Gulbadin to the following camp in Jalalabad,” he added. “On-field skills are one aspect of the game, but the attitude of the Afghan cricketers is unmatched. They respect their teachers so much that a single motivational sentence can make them give their all. Still, they need mentoring more than coaching,” he concluded. 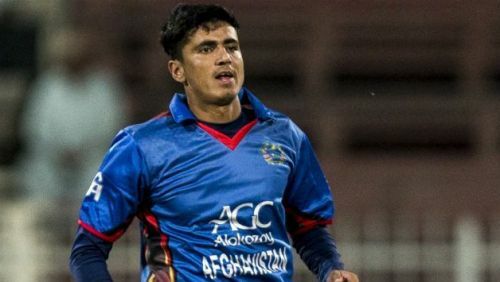 According to the reports, Mujeeb is not only the Afghanistan cricketer who is said to be providing fake information regarding his age. The leg-spinner from the same country, Rashid Khan has a similar story. But other than their age problem, they have talent which has to be appreciated by every cricket fan.